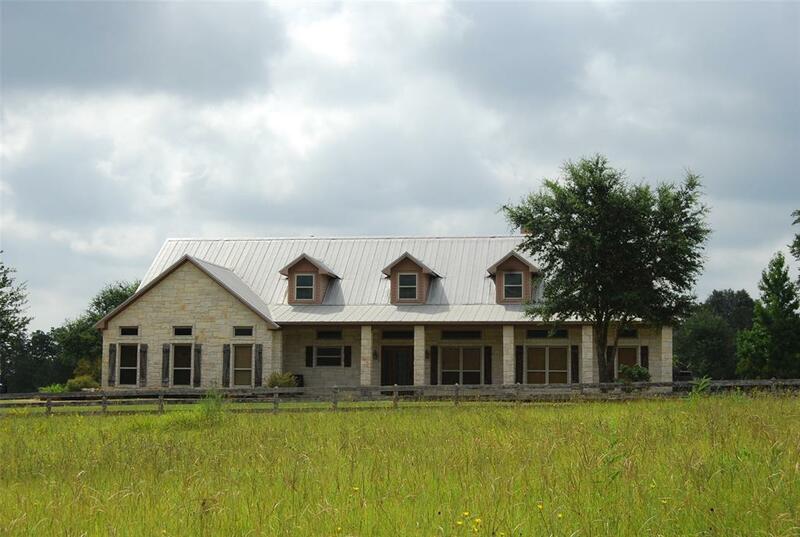 Located 6 miles west of Bellville is the pristine Big Dog Ranch. Each aspect of this piece of property was hand shaped into one magnificent showplace. 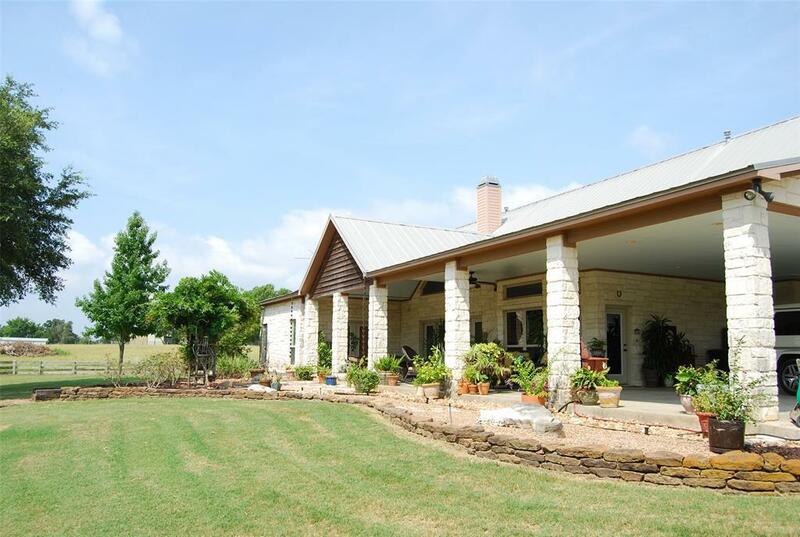 Situated on 43.104 acres is the stunning Austin Stone home with a metal roof and 3,252 sq ft of living area. The great room offers cypress wood walls and a 16 ft wood cathedral ceiling. Exposed cedar beams w/hand cut metal plates add to the charm of the home. Slate tile is throughout the home, with carpet in the 4 bedrooms and office. The kitchen/dining area are perfect for entertaining. The kitchen has a large working island with a 5 burner cook top. Beautiful tan granite throughout with hand made pine cabinets. 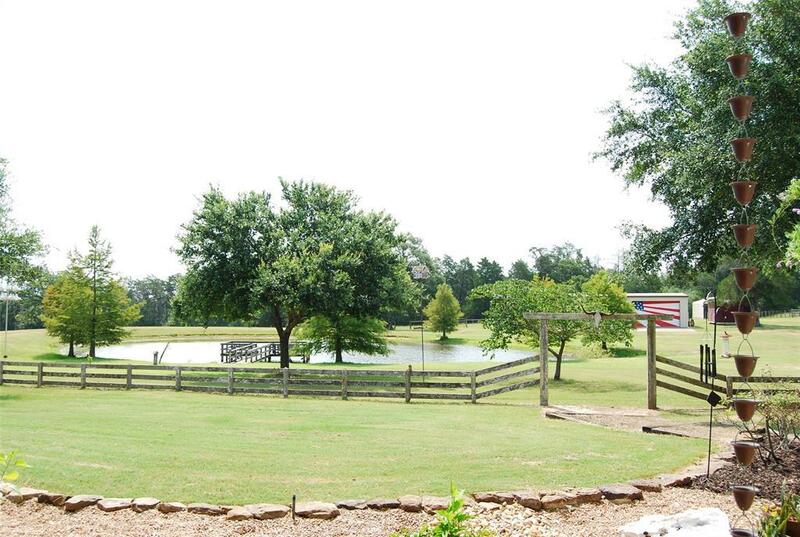 Out the back windows and off the large covered porch youll find a beautiful 1 acre pond. Across the back of the property is a large metal barn with three overhead doors and second story storage area. 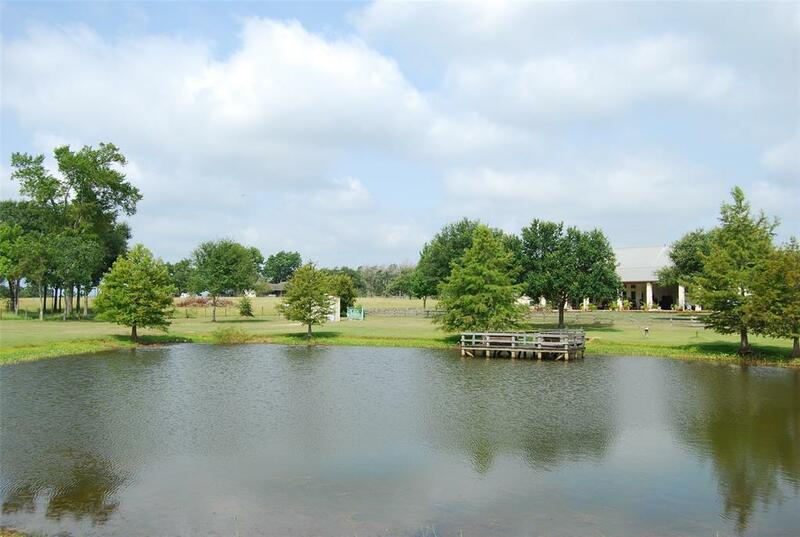 Big Dog Ranch has so many amenities to offer you must see it to grasp the beauty of this well thought, well planned place.